My upcoming book INDELIBLE features an average guy who gets a facial tattoo and finds himself thrown into a very un-average life. While tattoos have become essentially mainstream in today's society, most people still consider facial tattoos to be pretty extreme. 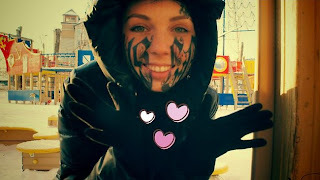 I've talked with several individuals who have facial tattoos and they are usually ordinary, polite people, not homicidal henchmen or ruthless gangbangers as Hollywood would have us believe. Of course, getting a facial tattoo is a big decision, and it should be made only after a lot of thought and careful consideration. Pretty much what these people didn't do.